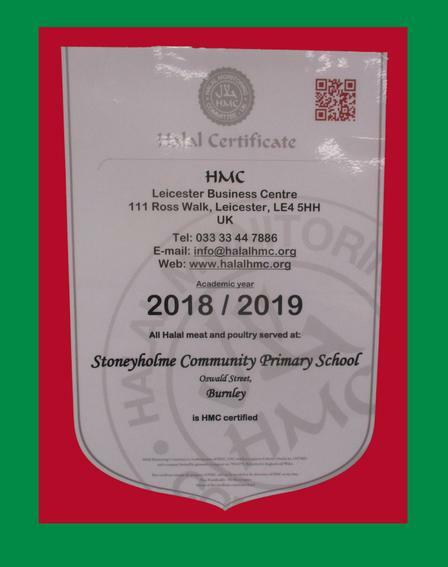 Following a recent Halal Monitoring Committee (HMC) audit, school has received the Lancashire Council of Mosques Halal School Meats Endorsement. We are also delighted that Mr Farooq Hussain, a professional chef, is running our kitchen and providing delicious and healthy meals for our children. If your child is not currently having a school dinner and you would like them to have one, please contact the school office to make the necessary arrangements.